ruston's cake, originally uploaded by jodifurr. 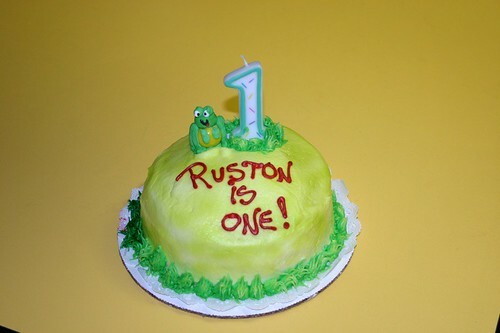 Of course, Ruston had to have a cake all his own! He loved the little frog on top. He spent a while chewing on it. I let him have it until he got the whole gum ball in his mouth.